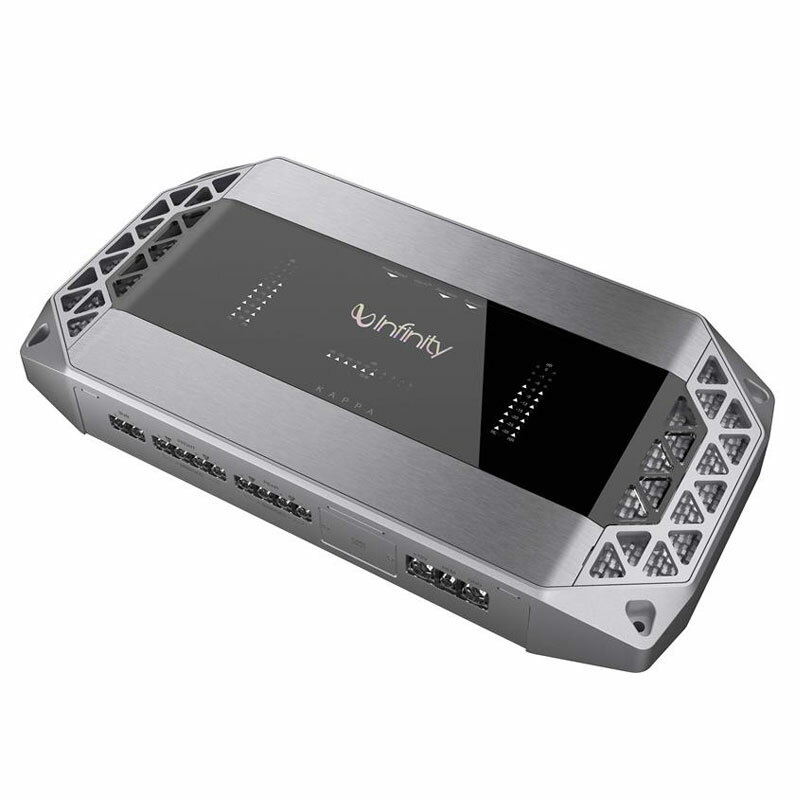 Infinity Kappa Series K5 is a Class-D Full Range 5-Ohm Stable 5-Channel Amplifier. With a press of a button phone calls are safely and conveniently answered. Among many features is the reliable Bluetooth connectivity option. Bluetooth audio streaming is one of many unique features of this 5-Channel Amplifier that provide seamless integration. Audio streaming from electronic devices are easy with bluetooth capabilities. Party Mode, once activated, can allow anyone access to full musical control, now anyone can have a say in what is played. Anyone can control the music with Party Mode regardless of how many people are in the vehicle. The omni-directional microphone allows full wireless control of your phone. With the omni-directional microphone, there is less possibility of not registering a voice request. Patented Clari-Fi Technology has made the listening experience even smoother. Clari-Fi Technology evaluates audio in real time and reconstructs the file to deliver smooth crisp sound. Clari-Fi Technology intelligently improves highly compressed digital music by rapidly analyzing each file and delivering a better sound. The Wired Control Panel allows quick access to patented Clari-Fi Technology, Bluetooth pairing, Party Mode and several other features. For safety purposes, ADAS Input will take control of the audio when applicable devices are detected. A microUSB port connection makes upgrading firmware effortless. Major/minor adjustments are easily achieved with the controls located on the side of the K5. Crossover, Input Level and Gain can all be adjusted. Class D amplification features high-efficiency, low-heat amps. The Full-range line outputs allows the amplifier to pass the audio signal to additional subwoofers and amps offering even more customization of your system. This class D amplifier has a Low-Pass Frequency of 32-320 Hz with a Low-Pass Slope of 12 dB/Octave. In addition, it also has a High-Pass Crossover Frequency of 32-320 Hz with a High-Pass Slope of 12 dB/Octave. The amplifier also features Independent variable high and low-pass filters for more variation. The brush steel industrial design showcases the amplifier in a magnificent way.